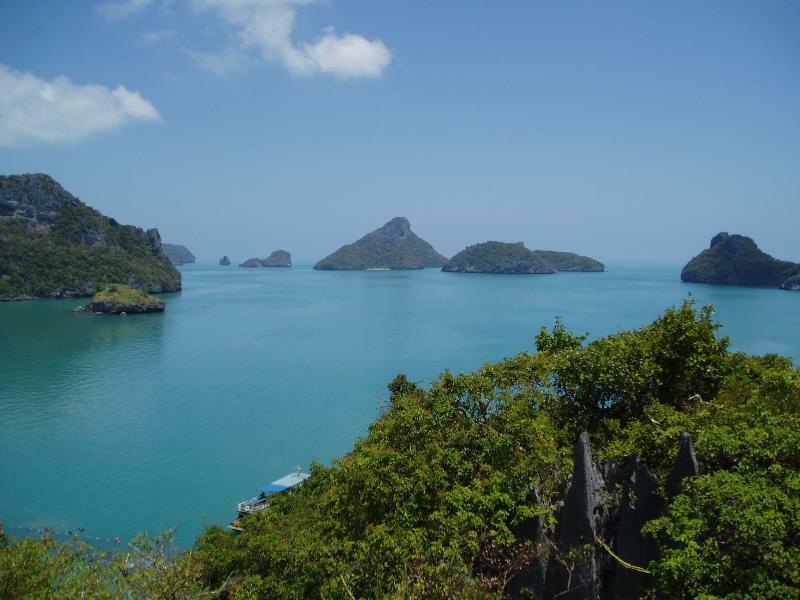 The central part of the island is an almost uninhabitable tropical jungle mountain called Khao Pom, peaking at 635 m. The various lowland and coastal areas are connected by a single 51 km road, running mostly along the coastline and encircling the bulk of the island. On the northwest coast of the island is the old capital, Nathon. Although Nathon spreads over a large area, the actual port and main business district is relatively small. Nathon is the major port for vehicular and goods transportation from the mainland. It is the center of the fishing industry, and remains the seat of the regional government. The majority of the government functions are based here, as is the public hospital. Being the location of the main port and the closest inhabited area to the mainland provided the impetus for Nathon becoming the commercial center for Samui locals. More recently, the decline in dependence on the local coconut industry, the continued growth and development of the tourist industry, and the northeastern location of the airport, has seen the slow move of the commercial center to Chaweng.